Millennia ago, at the height of his power, the System Lord Ra decreed that any Goa’uld wishing to serve him must endure a great trial. Victory meant power and prestige, defeat brought banishment and death. 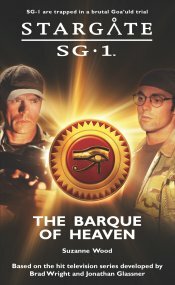 On a routine expedition to an abandoned Goa’uld world, SG-1 inadvertently initiate Ra’s ancient trial – and once begun, the trial cannot be halted. 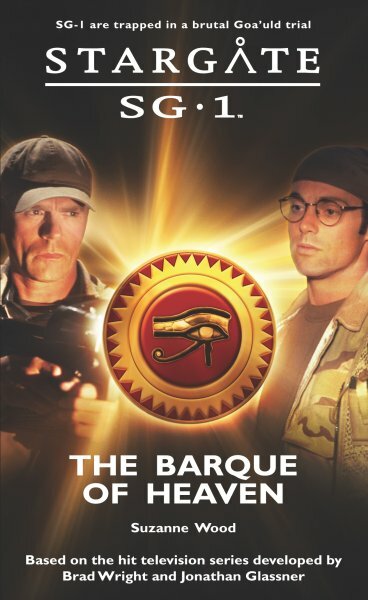 Relying on Dr. Daniel Jackson’s vast wealth of knowledge, Colonel O’Neill must lead his team from planet to planet, completing each task in the allotted time. There is no rest, no respite. To stop means being trapped forever in the farthest reaches of the galaxy, and to fail means death. Jack looked around, through the little clouds of his breath condensing in the still, frigid air. Maybe this niche in the tunnel walls would offer a few moments’ respite. No movement showed in the passage they had just raced through. Ahead, another tunnel angled away into the darkness, offering at least somewhere else to run. His team gathered near him, faces turned toward the tunnels and watchful for any hint of pursuit. Carter balanced on her left leg as she scanned the darkness, denying the ache in her right ankle, twisted on the treacherously slick rock. Teal’c faced the opposite direction, alert as ever, yet his utter weariness could be seen in his slumped shoulders and slowing movements, his skin an unhealthy grayish hue. Daniel was leaning against the dank wall, the façade of stubbornness on his face slipping as surely as his body was sliding down the uneven rocks, his lungs now emitting little more than a distressed wheeze. His left fist was still firmly planted on the pain below his ribs. Jack shifted, vainly trying to ease the muscles knotted along his spine and the stabbing pain that had been his constant companion for what seemed like his entire life. Movement flickered in the corner of his eye — Carter’s hand coming up and signaling they were about to be discovered. He sucked in a gasp of cold air, reached over and grabbed a fistful of Daniel’s shirt, helping his teammate as they staggered off in Teal’c’s wake — plunging on into the unknown. Within seconds SG-1 had vanished into the darkness, the eternal rock showing no trace of their passing.